What is the BALTIMORE WARRIOR FIT WEEKEND? CAL veteran athletes join the astounding community of Baltimore MD for a fitness training weekend. Veteran members experience full training sessions in all aspects of fitness. 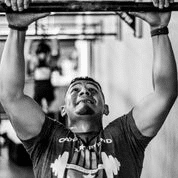 Owners of diverse fitness facilities open up their spaces to train each veteran in new fitness regimens, Crossfit, HIIT, Strength and Conditioning, Boxing, Yoga to nutrition and wellness, mental agility and “best business practices” as well. 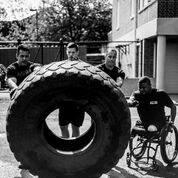 As CAL brings together local communities and veterans through fitness, barriers of isolation are dropped as each works side by side as physical and mental stamina are achieved. 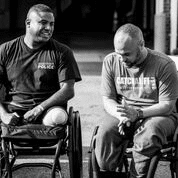 As a result, CAL veterans begin or continue a lifetime of fitness, challenging their mental and physical wounds caused by combat. Many in attendance witness the outpour of support and love from the community. Many of these veterans did not know these feelings still existed amongst the general population. Each can share experiences and life journeys, and learn to embrace each other in a safe and welcoming environment. Friends, mentors and relationships are often forged for years to come. Fifteen Post 9/11 combat injured veterans that are approved for the Catch A Lift Fund program. Injuries vary from physical to mental. Some veterans will be actively participating in the CAL program, others awaiting membership from the waitlist. Community members from each facility, community friends & families. Local police, firefighters and first responders. This event is taking place at two Crossfit locations. Please choose your gym below. Click here to register for workout only.